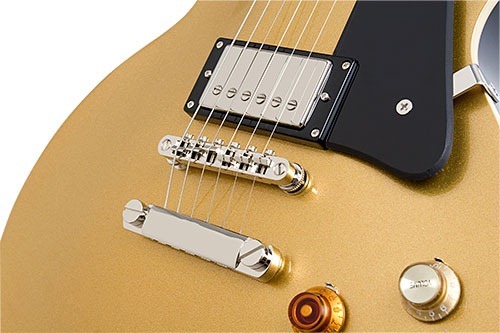 Epiphone has publically released the new Joe Bonamassa model guitar, which is based off of Joe’s Goldtop Signature Les Paul. This guitar was made as a more affordable solution and was designed by Joe. Unlike most of Joe’s Signature Les Paul guitars, this particular guitar has a smooth un-aged finish. Interested in buying one? You better hurry as there will only be 1,000 produced. You can check out the full details on the guitar here. Ive followed Joes music for some time and he just gets better. I cant wait til I can hang one these guitars up with my others. I just bought the last one from MF website and I’m awaiting delivery. So… I’m cruising the web to learn more about what I’ve purchased and check on some other review comments. From what I’ve gathered, I’m going to be very pleased with the quality and sound of this guitar. I can’t wait to plug in. Now, if I can only make it sing like Joe I’d die a happy man! I just recently came across Joe’s work. Since the age of 9 when I started playing, I’ve always been a fan of the blue’s. I was watching the special on Directv and thought how smooth and eclectic his style was. Then, without even knowing it, stumbled across this signature Epiphone at my local Sam Ash. I was immediately was BLOWN away by the tone and knew, this was the les paul for me! Joe will be known as the modern day candle holder for the blues.